Tech industry players in Southeast Asia expressed their optimism about the industry’s prospect for growth over the next 12 to 24 months, in a new report by Slush Singapore and Monk’s Hill Ventures about Southeast Asian startups. Based on survey of over 100 players in six countries, the report revealed the moments that had defined the Southeast Asian startup ecosystem in 2017, which includes Grab’s US$2 billion funding round from Didi Chuxing and Softbank. In the same month, Tokopedia also raised US$1.1 billion. The report also highlighted acquisitions as the dominant method of exits in the region, which has hiked upwards for the third year in a row. Only nine Southeast Asian startup were publicly listed in 2017 while 155 were acquired; this trend is also expected to continue in 2018. Already home to eight unicorn startups, which are divided evenly between Singapore and Indonesia, these unicorn companies are also believed to be the driving force for any upcoming exits in the region. “The region is also growing more integrated. As Southeast Asia moves closer to becoming a common market, governments are encouraging their enterprises to collaborate. Just as intra-trade is increasing in the region, cross-border deals are on the rise,” the report said. When it comes to talents, 90 per cent of respondents believed that skills gap is a “major issue” for the Southeast Asian tech industry. The report explained that while there is a “great deal” of talent in the region, the workforce needs “more and stronger” skills. “… We need to better cultivate more abstract skills such as product-building, design, and market-execution skills which are best learned outside the classroom. Experienced entrepreneurs and investors must continue to facilitate or provide mentorship in these areas and demonstrate patience as their peers make mistakes and learn through experience,” said OnOnPay Founder and CEO SyPhong Bui, who was interviewed for the report. “The results of our survey show there is support for gender diversity, yet there is relatively little discussion of the issue within the tech ecosystem. This is surprising given current events like the #MeToo movement overseas, which have given the issue a good airing around the world,” it said. 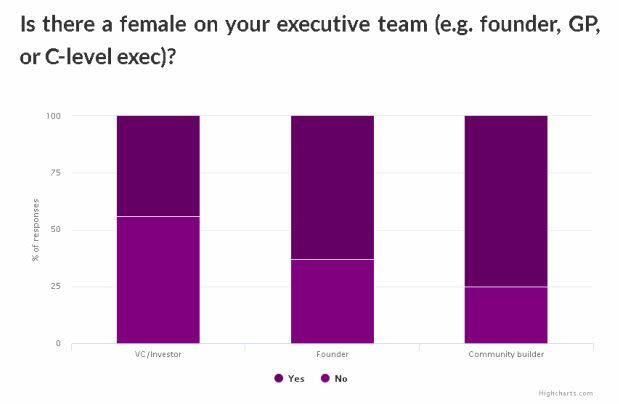 But hope remains as data revealed that the majority of startup founding team, VC, and community builder has at least one woman in leadership position within their organisation. How about the role of government? Governments can contribute to the growth of tech industry through various means, from providing grants, giving tax incentives, to building policies that are in favour of industry players. The report noted that Southeast Asian startup communities generally have a diverse views on how government regulation impact their businesses. When it comes to discussion on the future of Southeast Asian tech startups, the report noted on the rapid rise of the region’s crypto scene. However, it remains cautious in predicting whether governments in the region will further support the growth of the industry, or perhaps even hinder it. Particularly since countries such as Vietnam has announced a crackdown on crypto following a fraudulent ICO, which scammed customers out of US$660 million. Other trend that is more certain to come is the birth of new unicorn startups; this trend is in line with continuously growing investment into Southeast Asian startups. Chinese tech giants and investors will also continue to play a role in this. This year alone, Alibaba has doubled their stake in e-commerce giant Lazada while Tencent participated in ride-hailing giant Go-Jek’s massive Series E funding round. The post Talent remains Southeast Asian startups’ greatest challenges: Report appeared first on e27.